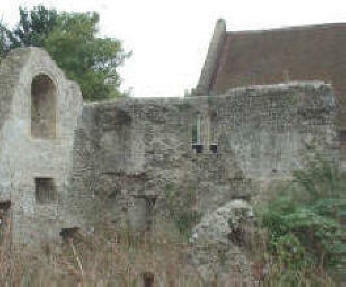 Portslade Old Manor (north side of St Nicolas Church) is one of a very few examples of Norman manor houses that still exist in this country. For this reason it has been deemed a Scheduled Ancient Monument, and a Grade ll listed building. Oswald holds half a hide in Portslade he held it before 1066. It did not pay tax, he could go where he would with the land, 1 villager, value 6 s.". "Albert held half a hide in Portslade. It did not pay tax. 1 villager with half plough. The value is and was 6 s."
In 1226 Hubert de Burgh held the Manor of Portslade while he was Justiciar of England and Earl of Kent, Hubert was to be immortalised years later in William Shakespear's play "King John". Under the reign of Henry III, Hubert commanded the English fleet in their victory over the French at Sandwich 1217, for this victory he was hailed "the saviour of the national cause", Hubert died in 1234 at Banstead and is remembered as the last of the great Justiciars of England. 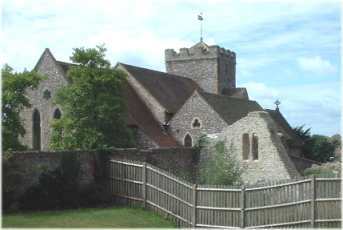 In 1312, the Lord of the Manor of Portslade, John de Warenne, Earl of Surrey, was granted a charter by King Edward II to hold a Fair at Portslade annually on the 6th December, "The Feast Day of Saint Nicolas"
Portslade Manor House was in use until 1807 when the new manor house was built. It was then used as an Almshouse for the poor. In the Victorian era it was partly demolished to provide building material for a garden folly in the manor grounds. Foredown Tower Countryside Centre, Foredown Road, Portslade. The new Manor House was built in 1807, which replaced the Old Manor. John Borrer who was a churchwarden at St.Nicolas, owned all the lands from the north of Easthill including all of Mile Oak, these lands were devoted to farming. In later years the Manor House was bought by Kathleen Nelson who gave it to the Roman Catholic Church. In 1904 the Manor House became the Convent for the Sisters of the Order of Poor Servants. Manor Lodge was formally known as Portslade Lodge, is opposite the village green. It was built at the end of the 18th century. The house was owned in 1866 by Sarah and Kate the daughters of John Borrer of Portslade Manor. Sarah Borrer served as a School Manager of St Nicolas School. When Sarah died in 1908 the house was passed onto Arthur Blaker, a relative of the Borrers. Hannah Brackenbury donated the land and financed the building of the Brakenbury School in Portslade, later to be renamed St Nicolas School. In 1967 a new St Nicolas C of E Junior School was built on land adjoining the old school. 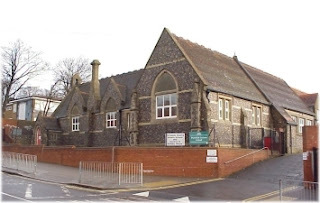 The old Brakenbury-St Nicolas School was taken over by Portslade Infants School which changed its status to a primary school in 2013 and is now known as the Brackenbury Primary School. 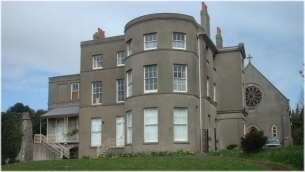 Sellaby House was built in the mid 19th for Alice King a companion of Hannah Brakenbury who is buried in the Brackenbury Chapel in St Nicolas Church. The house was later owned by members of the Blaker Family. In 1936 the house was bought by Sussex Education Authority who used the remaining gardens to build Portslade County Infants School. The house became a school dentist and lately a Further Education Centre. 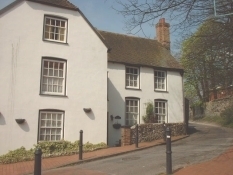 Kemps is the oldest habitable house in Portslade dating from the 16th century and is a Grade II listed building. Many alterations have been made to its fascia during its history. The house was owned by the Blaker Family who may have commissioned the original building. The earliest record in the Church shows that the Family was living in the village in 1485. During the Blaker’s 400-year association with the Parish the Family have taken prominent positions in public life. Edward Blaker was MP for Shoreham in the 17th century; Three members of the family became Churchwardens of St Nicolas Church in the 19th century. Harry Blaker became a surgeon in Brighton. Harry Blaker attended Queen Victoria when she was in residence at the Royal Pavilion; he vaccinated the Prince of Wales later to become Edward VII and Princess Victoria who became the Empress of Germany and mother of Kaiser Wilhelm II. Many of the Blaker Family are buried in the family vault at St Nicolas. 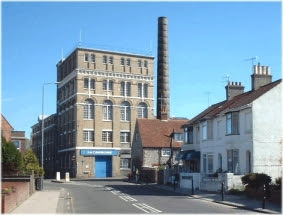 The former Southdown Brewery built in 1881 by John Dudney dominates the Old Village. The building is now a factory owned by Mersen UK Portslade Ltd. The Company manufactures carbon graphite components and anticorrosion equipment. Loxdale is an imposing Victorian house situated next to St Nicolas School. The house was built by Walter Mews in 1899, its high red brick garden wall dominates one side of Locks Hill. 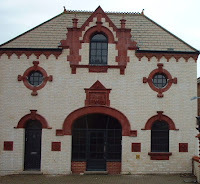 The Mews Brothers, Walter and Herbert, had previously purchased the Southdown Brewery in the Old Village in 1887 from John Dudney. The Mews Family were involved in the work of the Church, they made their extensive grounds available for fetes and jumble sales. The house was in the Mews Family until 1928. In subsequent years the house was used as a “Boys Home”, an Approved School for Girls, a Senior Citizen Holiday Home and is now the Swedish Folk High School which operates as an adult education centre. Robin's Row c.1740, off South Street. The High Street, looking west to the Kings School, an Ecumenical Christian Secondary School. The school's former names over the past 80 years were:- Portslade Aldridge Community Academy, Portslade Community College, Portslade Secondary School for Boys and The Windlesham School. The Foredown Tower in Foredown Road is the former Edwardian water tower built in 1909, to supply water to Foredown Isolation Hospital built in 1885. In 1913 the hospital was renamed the "Hove Borough Sanatorium, Portslade" The hospital was demolished in 1972. 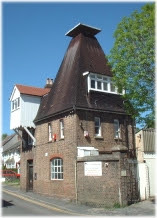 The former water tower is now a Countryside Centre and houses the only working "camera obscura" in the South East of England, and is open to the public at various times. This small stone statue of a boy reading a book in the grounds of Foredown Tower, once stood above the main entrance of the former Industrial School in the Mile Oak Road. The residential school was built in 1902 by London County Council as an Approved School for London boys. The names of the 'Old Boys' of the Industrial School who lost their lives in the Great War 1914-1918 are commemorated in St Nicolas Church on the Roll of Honour. 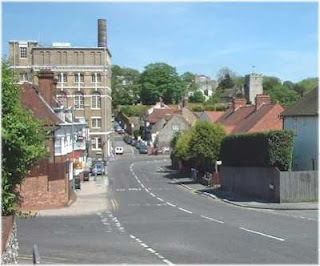 This ancient road is north-east of Portslade's Old Village and is within the Parish of Portslade & Mile Oak boundary and the South Downs National Park. The names of the hills on this trackway are Foredown Hill and Mount Zion. It is not known why one of these local hills was given a biblical name. In the distance are the hills of the South Downs. There are also War Memorials within St Nicolas Church and in the South Portslade Community Centre section of the St Andrew Church building . The names listed in both Churches also appear on the Portslade War Memorial. Between the Wars there was a rapid growth of house building in Mile Oak and the Vicar of St Nicolas, Revd. Ernest Holmes, decided that a mission church should be built. In March 1936 a site in Stanley Avenue was purchased from Mile Oak Estates Limited and a “Tin Hut” donated by the Good Shepherd Mission Church in Dyke Road, Brighton, was erected on this new site. The “Tin Hut” was formerly a cook house and mess room at Shoreham Airport’s First World War Military Camp. 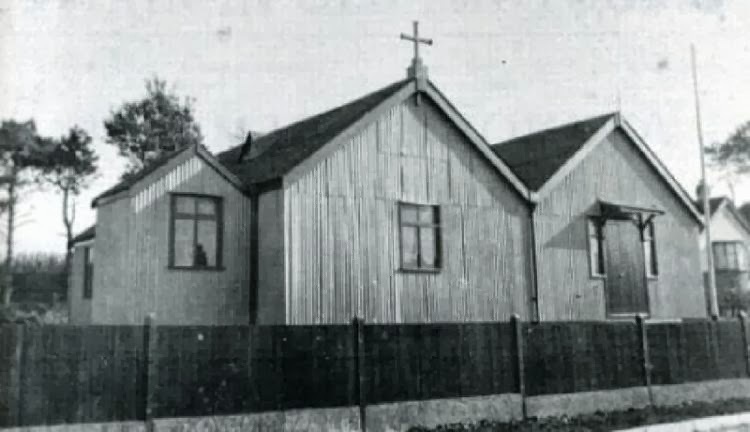 The “Tin Hut” Church consisted of two 50ft by 20ft standard army huts side by side , the north hut the Church and the south hut the Church Hall. St Andrew's Church Portslade, built in 1864. Portslade has been identified with the Roman port Novus Portus mentioned in Ptolemy's Geography of the second century AD. Evidence found a hundred years ago through house and road building schemes suggests man has lived in south Portslade since the Stone Age. Flint tools were found in Vale Road. Roman cinerary urns were excavated south of the Old Shoreham Road near Victoria Park as were Saxon graves at the junction of St Andrews Road and Church Road. The three Saxon graves were orientated east-west, suggesting they were Christian burials, the remains were reburied in St Nicolas churchyard. The south of Portslade was originally known as Copperas Gap. The name Copperas Gap, suggests that this coastal part of Portslade was used for the production of copperas or green vitriol, a form of ferrous sulphate used extensively in the textile industry. The coming of the railway in 1840 brought a house building boom to Copperas Gap. In 1897 Copperas Gap was granted Urban District status and formally adopted the name of Portslade by Sea. 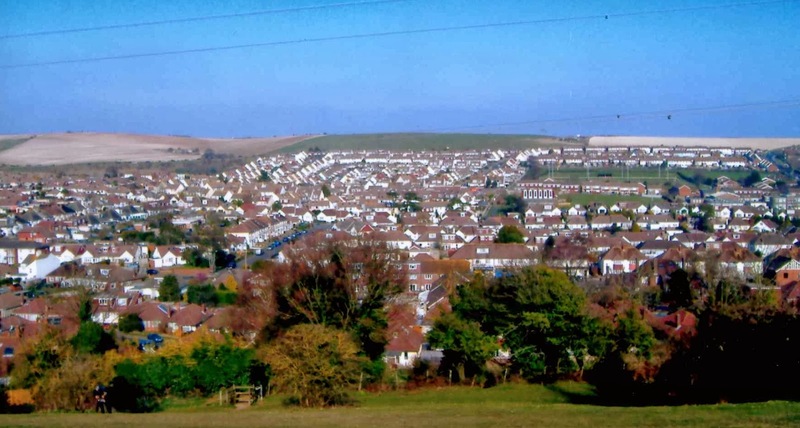 The Local Government Act of 1974 brought an end to Portslade by Sea Urban District Council, Portslade was then incorporated into the Borough of Hove. April 1997 saw Portslade along with Hove being merged with Brighton to form a single unitary authority. 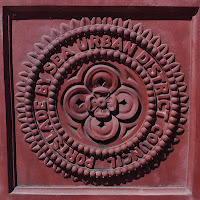 In the year 2000 Brighton & Hove was awarded City status. 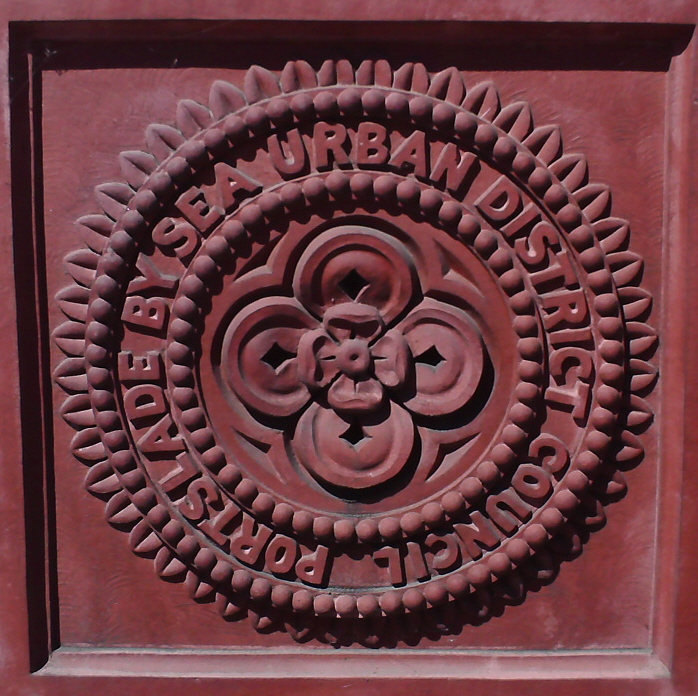 A commemorative stone bearing the seal of the former Portslade by Sea Urban District Council, can be seen today set in the wall of the former Portslade Fire Station in Church Road. The present day mouth of the River Adur at Shoreham Harbour has constantly been on the move between Shoreham and Hove in the last thousand years due to longshore drift. In the 1690’s Copperas Gap (Church Road, Portslade), was the only part of the harbour where sailing ships could load iron ore destined for London. By 1753 Shoreham Harbour’s entrance was only via Portslade due to the longshore drift. In 1820 a permanent entrance to the harbour was constructed at Shoreham, leaving a tidal canal running through Southwick, Portslade and terminating at the Aldrington Basin in Hove. Over subsequent years lock gates were added to the canal at Southwick to allow larger ships to stay in the Port of Shoreham at low tide. In ancient times access to the sea for fisherman would have been at Copperas Gap. The longshore drift that played havoc to sailing ships trying to navigate their way to Shoreham Harbour has cut Portslade off from its sea coast. To reach Portslade beach now means a journey to Southwick to use the pedestrian footpath across the lock gates of Shoreham Harbour or road access to the beach is via the A259 to Hove Lagoon. The station was opened in 1840, the name West Hove was not added until 1927. The original platforms were on the Portslade side of the level crossing. Station Road is the main shopping area for Portslade. The road is a rare example in England of having two names, the boundary of Portslade and Hove runs along the centre of the road. The Portslade side is Station Road and the Hove side is Boundary Road. To add to the confusion Portslade Station is now in Hove and the Portslade side of the road changes its name to Carlton Terrace on the north side of the level crossing while Hove keeps the Boundary Road name. 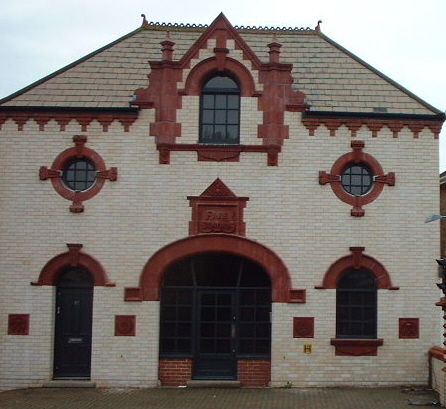 The Fire Station in Church Road was built in 1909 and operated until 1948. Portslade Town Hall was originally built by the former "Ronuk" Polish Factory in 1928 as a Welfare Institute for its workers. In 1959 the building was converted into a Town Hall for Portslade Urban District Council. Today the Brighton & Hove City Council uses the buildings that surround the Town Hall as offices. The main Hall is now used for concerts and various other public and social events. The Hall also houses a unique Compton-Christie 3/18 Theatre Organ, built by David Houlgate and a devoted band of enthusiasts in May 1987. The organ was skilfully constructed from a collection of former Cinema Theatre organ parts from Ilford, Merthyr Tydfil and Cricklewood. In 1871, No. 5 Station Road (then called 5, Courtney Terrace) was the home of the Fr Richard Enraght, Curate in Charge of St Andrew Church, Portslade. Fr. Enraght belief in the Church of England's Catholic Tradition, his promotion of ritualism in worship, and his writings on Catholic Worship and Church-State relationships, led him into conflict with the Disraeli Government's Public Worship Regulation Act, for which he paid the maximum penalty under the Law, of prosecution and imprisonment in 1880. He became nationally and internationally known as a "prisoner for conscience sake". See the Fr Enraght page to learn more about his life, ministry and publications. 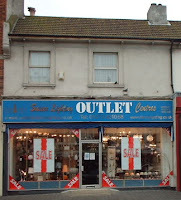 At the beginning of the 20th century the house was converted into a shop. 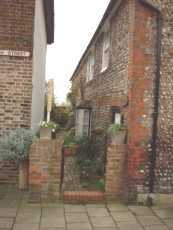 In February 2006 The Brighton Newspaper, The Argus, reported that Brighton & Hove City Council had accepted the name of Fr Richard Enraght, whom they described as a “Priest, fighter for religious freedom”, as a candidate for a Blue Plaque to be erected in his memory on his former home in Station Road, Portslade. The date of its installation is yet to be announced. 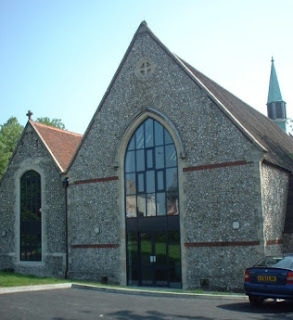 In September 2006, Brighton & Hove Bus and Coach Company honoured the Revd Richard Enraght’s memory by naming one of their new fleet buses after this former Priest of St. Andrew Church Portslade. His name joins the extensive list of locally and nationally famous people who have contributed to the City's life in some way over the past few hundred years with a Brighton and Hove Bus named after them. Edward Kenealy QC., an Irish born Barrister and writer lived at 163 Wellington Road (house now demolished) with his wife and eleven children from the 1850's until the mid 1870's. Kenealy commuted to London and Oxford for his law practice but returned at weekends to be with his family. "Oh, how I am delighted with this sea-scenery and with my little marine hut ! The musical waves, the ethereal atmosphere, all make me feel as in the olden golden days when I was a boy and dreamed of Heaven". While living in Portslade he wrote the greater portion of his unorthodox theological works. He came to national prominence in 1874 when he acted as leading counsel for the "Tichborne Claimant", which became one of the most notorious 19th century trials in British legal history, leading to Kenealy being disbarred from his profession. In 1875 Edward Kenealy was elected MP for Stoke which he held until the 1880 General Election. He died later that same year and was buried in St Helen’s churchyard Hangleton. At the time of Kenealy's death St Nicolas Church and St Helen Church were united into one Parish under the care of the Vicar of Portslade. Hove & Portslade in the Past has a collection of interesting pages of local history relating to Portslade and Mile Oak. There are many excellent books dealing with Portslade's Local History at both Portslade Library and the Mile Oak Library. Some of which, are available from local bookshops for purchase. “A Brief History of Portslade by Banks, B”. “Portslade, A Pictorial History by Green, C.”. “The following titles are by Middleton, J. , A History of St Nicolas School, Memories of Old Portslade 1 & 2, Portslade (Britain in Old Photographs series), A History of St Nicolas Church”.